Waterfall Info: This is the upper and best-known of two waterfalls on Vandiver Branch. The waterfall is actually much larger than the photo and statistics indicate, but most of it is totally obscured by deadfall. Even the main drop shown here isn't in a very scenic setting due to deadfall. 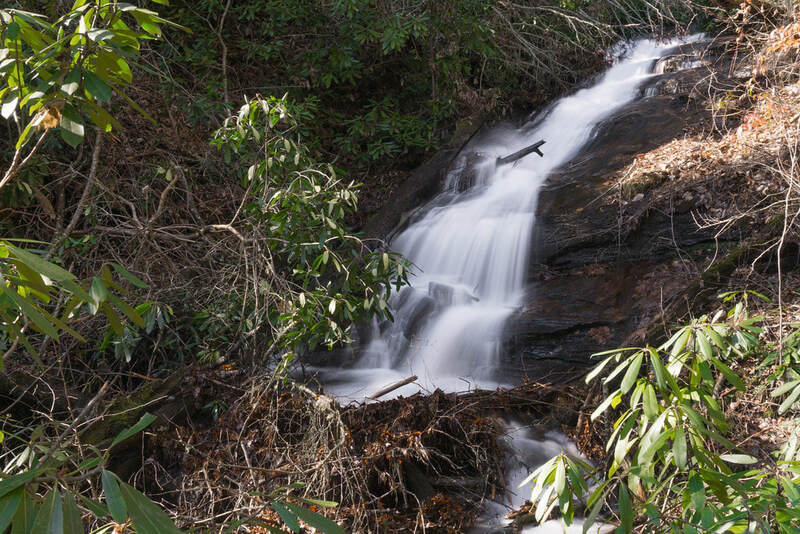 Access Info: This waterfall is accessed by a short, steep bushwhack down from Chattahoochee River Road (FS 44).